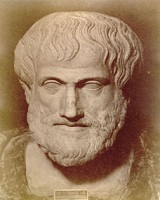 Aristotle 384 BC 322 BC Greek Nicomachus Phaestis Polymath, Teacher, Philosopher, Writer, Tutor And Scientist Greek philosopher and scientist, better known as the teacher of Alexander the Great. He was a student of Plato and is considered an important figure in Western Philosophy. A list of popular Hindi Aristotle quotes are given below.